Did you receive a surprise invite for the Off White x Air Jordan 1 Powder Blue? The latest update for the Nike SNKRS app has shoppers in a frenzy checking their app for messages from Nike. Nike’s recent SNKRS app update sent exclusive invite messages to selected shoppers. If you haven’t already taken a look, check your app now to see if you received one of the surprise invites. Nike has just dropped the latest edition slash instalment from “The Ten” line. 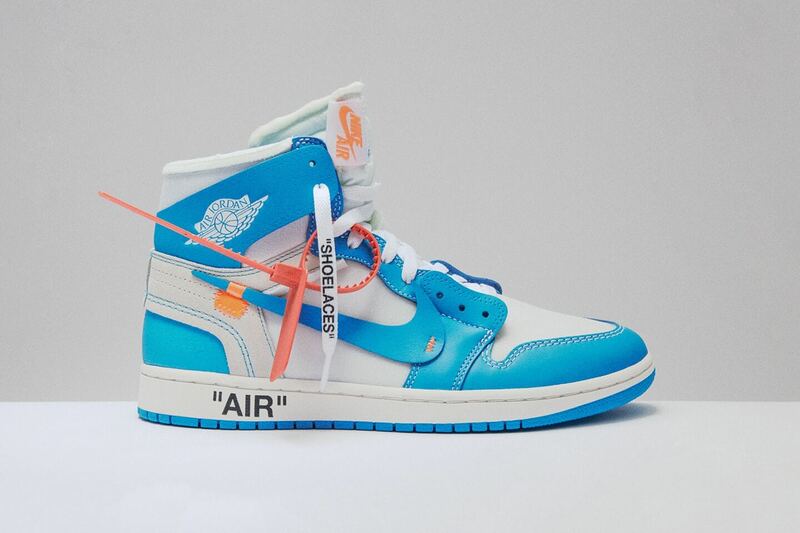 The collection this time has Virgil Abloh turn to the Air Jordan 1 for its release in the SNKRS app. The Ten Air Jordan 1 features a white underlay with powder blue overlays within the colourway as respect to Micheal Jordan University of North Carolina. The sneaker see’s a slightly different make up with moved logos and a Air Stamp on the midsole, red zip tie and standard Off White Branding. The white gold and blue colour combination compliments the design nicely and adds a premium feel to the Air Jordan. The sneaker again is featuring the Nike Off White “Shoelaces” in flat white. No notification has been sent to the public of a release date or where can get your hands on a pair, so if you were lucky enough to receive the invite message, be quick, agile and grab a pair while you still can!